The shooter aspect of Mass Effect was lacking a little and was perhaps too rooted in RPG mechanics. Fortunately for us BioWare is making sure to make the shooter part more shooter-like and keeping the RPG elements very RPG-like. “The advantages of starting with all the technology is we can focus on just making the shooting fun. There’s always a delicate balance of the RPG elements,” explained Dr. Greg Zeschuk of BioWare. 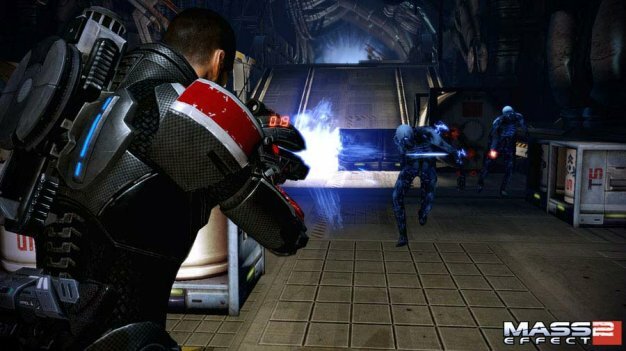 Dr. Ray Muzyka, another BioWare solider, further explains that the new and improved Mass Effect 2 “really feels like a new genre: a shooter/RPG. There are not too many examples of games that would put in that kind of choice that would have the same depth of exploration. The progression system, the story and the narrative, and all the choices, but also have a shooter combat experience that feels very precise.” We’re happy to hear that, oh yes we are. In our minds there was very little wrong with the first ME and the shooting mechanics was one of those things. It’s really good to hear once more how confident they are of the reworked shooting aspects. Now, what of that space rover crap?